Ursa started as a team of 6 University of Maine senior capstone students in spring of 2011 (pictured above). 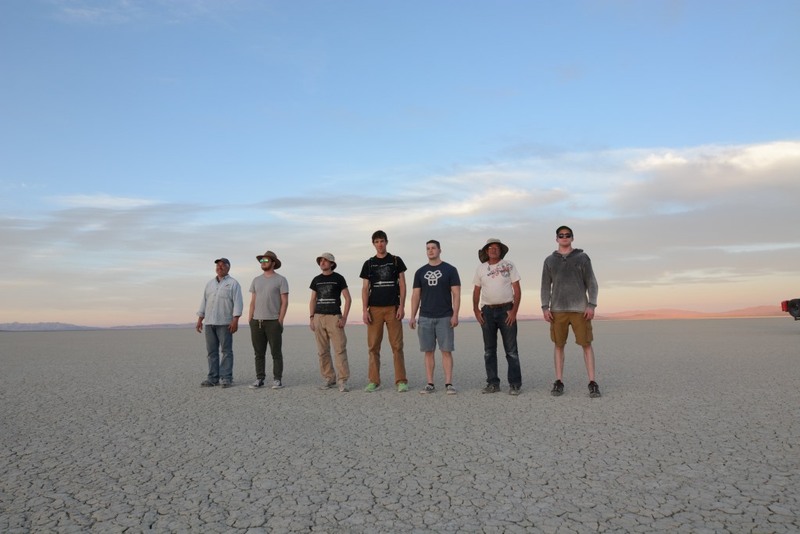 The team was introduced to Mavericks Civilian Space Foundation in the winter of 2011-2012, Mavericks mentored the team and assisted to refine our designs into something realistic and safe for our first research vehicle. 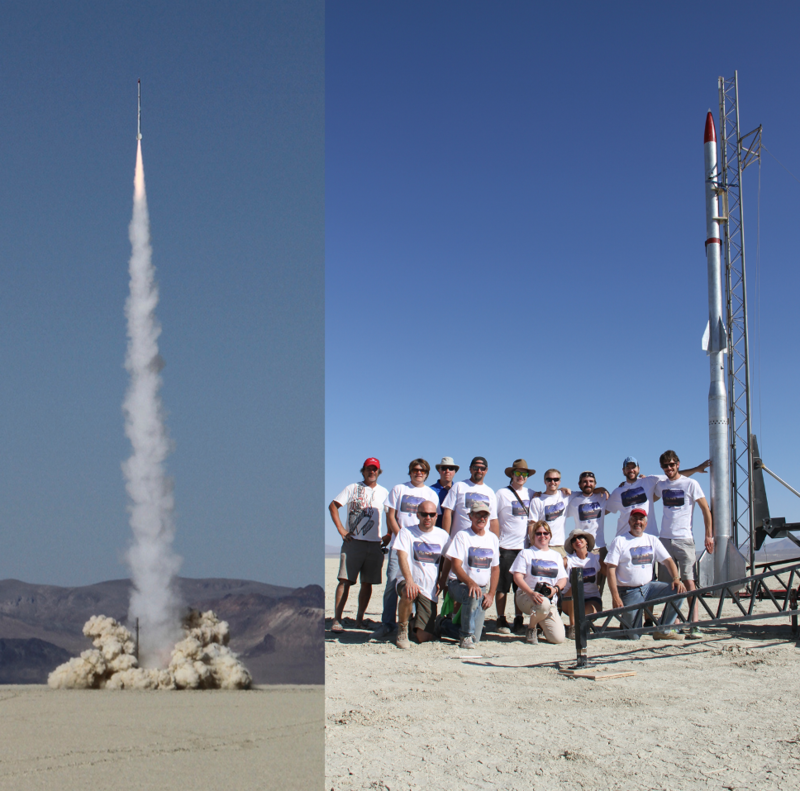 Additionally, through work with the Mavericks the team transformed into an organization that had a more coherant mission and vision beyond simply building cool rockets (see the mission page). Team Ursa's work has been largely financially supported by the Maine Space Grant Consortium and the Mavericks Civilian Space Foundation, as well as a number of individual donors through various crowd funding efforts. While at the University of Maine completing senior mechanical engineering capstone class the original Ursa team built the Ursa 1.0 research vehicle. The Ursa 1.0 was a two stage aluminum airframe, solid propellant, sounding rocket, and was designed to achieve 100,000 ft. 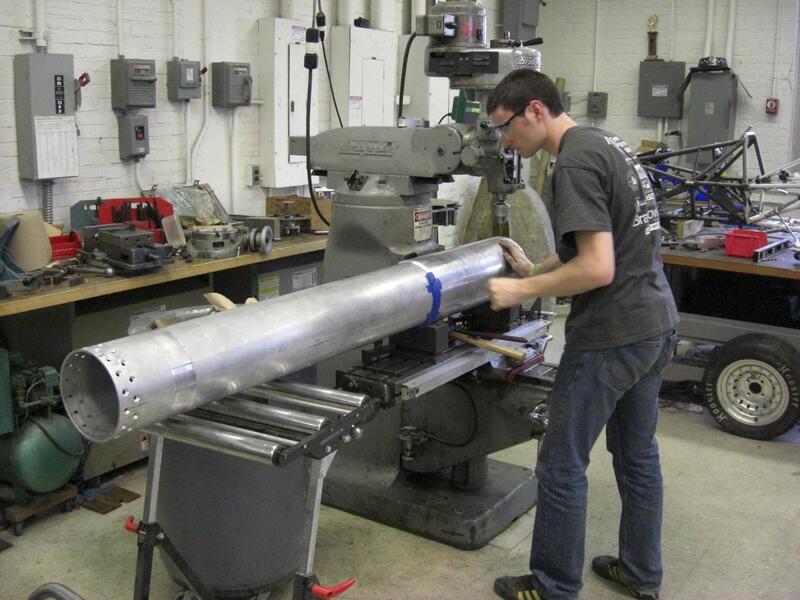 Shown above is Ryan working on the booster motor case. The Ursa 1.0 was a great learning experience and was made possible mainly with a grant from the Maine Space Grant Consoritum. By the end of the process the vehicle cost roughly $16,000 to complete. There were a lot of processes used during fabrication that would not be repeated, such as many welded components that caused a lot of issues with warping and inconsistent material properties. Shown above is Alex playing with the parachute for the booster section of the vehicle. 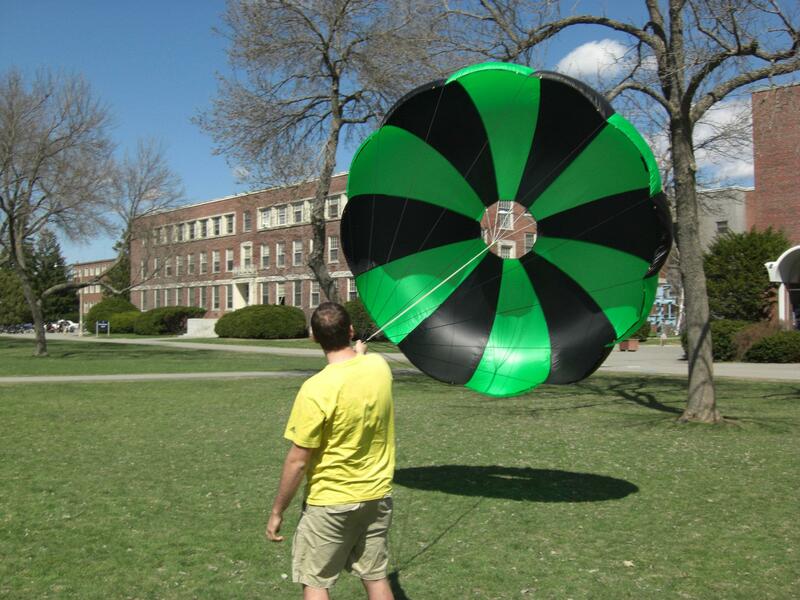 The team completed construction of the Ursa 1.0 airframe during the 2011-2012 school year, but did not launch while enrolled at the University. After graduation the team remained together and also gained several new members, there was still much work to be done on the avionics and other system details. 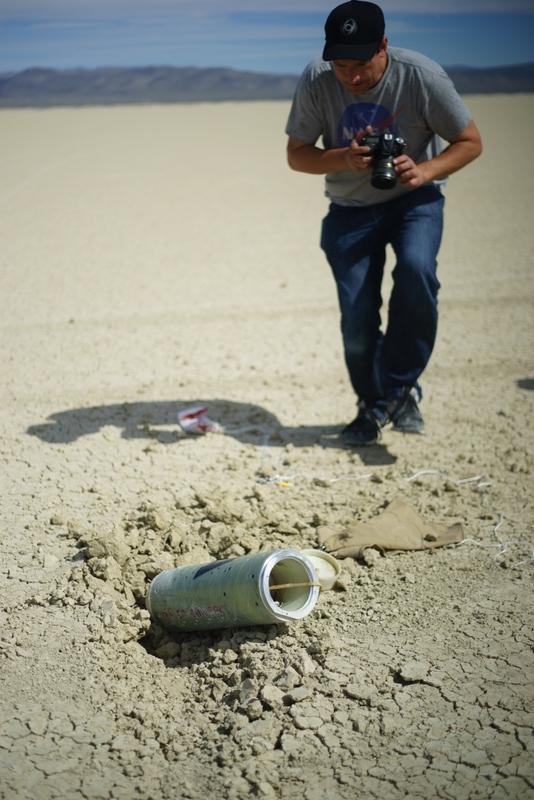 It wasn't until the fall of 2013 that the launch finally happened in the Black Rock Desert. One thing the team learned from the Ursa 1.0 is how long of a process the construction and launch of the vehicle the size of the 1.0 is. For more details on the Ursa 1.0 research vehicle see the designs page. The Ursa 1.0 largely served as a learning experience before Ursa could seriously contribute to the Mavericks reference design database. 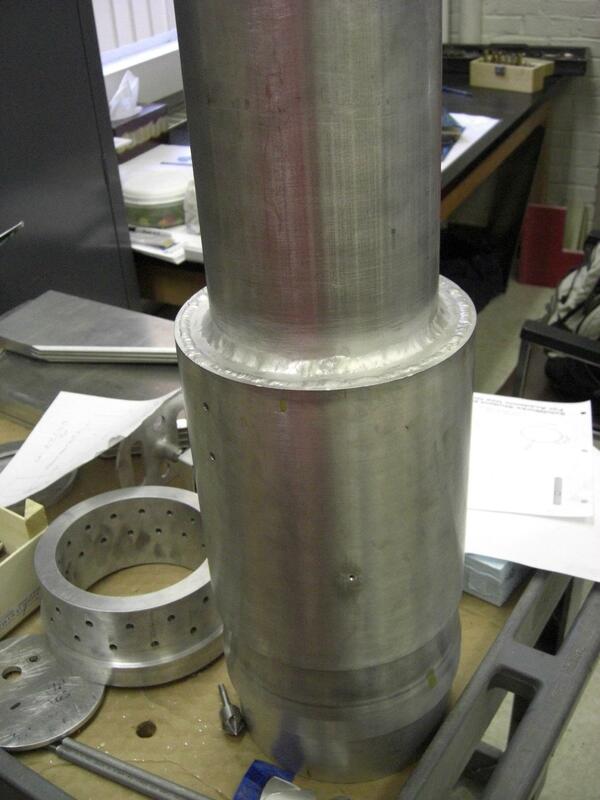 The booster motor used to launch the first stage of the Ursa 1.0 vehicle was an experimental "Q" sized SRM. To make sure it would perform as expected the Mavericks Civilian Space Foundation conducted a static test of the motor in the Mojave desert in August 2013. For more images and video of this exciting test please see the media page. This motor eventually became known as the "Mavericks standard Q". Ursa was in charge of all motor hardware design, while Mavericks handled chemical enineering and thermal protection. The Ursa Team finally was able to join Mavericks Civilian Space Foundation for the launching of the Ursa 1.0 vehicle in September of 2013. 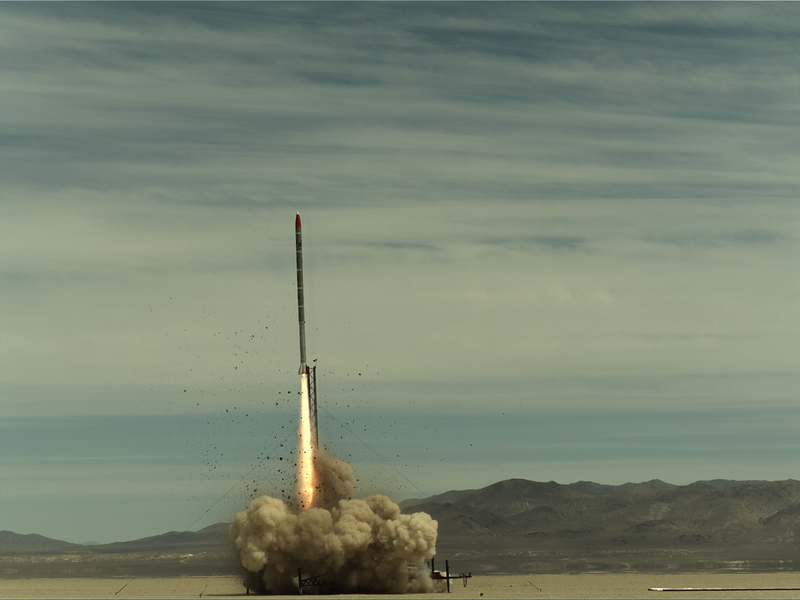 The launch took place in the Black Rock Desert in northern Nevada. The Black Rock is best known for hosting the Burning Man festival in August. There were even some leftover structures and floats from the celebrations that were stuck in the mud. The Black Rock is actually a dried lakebed and occasionally fills with water during the spring seasons when snow melts from the Sierra Nevada range. Plenty of video and photos are available on the media page. Launch preparations went extremely smooth, a testament to careful planning and checklists. According to simulations the Ursa 1.0 research vehicle was going to reach between 60,000-70,000 ft on that particular launch day. Short of the 100,000 ft hopes, but exciting none-the-less. Unfortunately, the team never got to see these altitudes, a mis-configuration of the second stage computer caused the sustainer (2nd stage) motor to ignite too early in the flight when it was still attached to the booster motor section. This caused the breakup of the vehicle at roughly 20,000-30,000 ft. Excellent onboard footage was still captured, but the simple cause of the loss was still frustrating for the team. The launch was good learning experience, and helps the team improve our designs for the next research group who would like to use them. After the Ursa 1.0 it took some time for the Team to regroup and put together a plan for the future. The eventual consensus was to pursue a the Ursa 2.x series of research vehicles. See the Future Design page for more information on the planned roadmap. The idea is that this new batch of research vehicles would spawn many useful reference designs. Producing these reference designs is the mission of the team, not the production of launch vehicles. The Ursa 2.1 is the first step in the process and construction took place between winter of 2014 and the fall of 2016. The Ursa 2.1 is a single stage vehicle that was designed to test several critical reference designs needed for sub-orbital research vehicles. To fund the construction of the Ursa 2.1 the Maine Space Grant Consortium provided a second grant to the team. Early in the development of the vehicle Ursa also conducted a crowd sourcing campaign to raise the additional funds. In total the cost of the second project was $19,700, this included all the launch logistics. One of the items Team Ursa was most excited about was the participation of Deering High School who placed a payload in the 2.1 vehicle, which provided the team with a chance to mentor students on the use of reference designs. The Mavericks Civilian Space Foundation is in charge of the educational programs, but Ursa can assist with programs in the northeast as needed. Midé Technology also assited with the Ursa 2.1 by placing one of their "SlamStick X" vibration data loggers onboard. 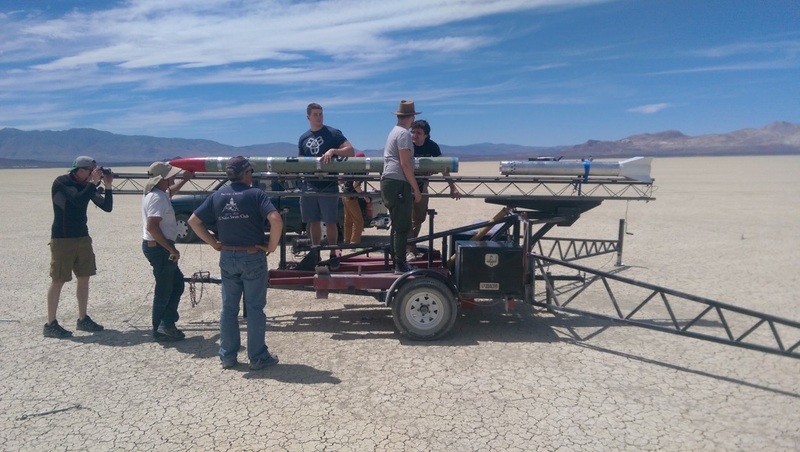 In June 2016 the team returned to the Black Rock Desert to launch the Ursa 2.1. Since the 2.1 is meant to represent the second stage only of future research vehicles the predicted altitude was only 38,000 ft. Launch preparations went very well, as did liftoff and the first several seconds of flight. Thanks to SolidWorks who worked with the Mavericks Civilian Space Foundation to make this launch possible there was some spectacular slow motion video taken. This footage can be seen on the media page. Unfortunately, complete success remained elusive for this launch as well. A severe wind gust in excess of 120 mph tested the separation joints past their breaking point and the airframe had a structural failure. The failure was a consequence of a numerical error in the analysis code written in MATLAB that was designed to predict the worst case bending loads on the airframe. An inertial effect was not taken into account properly. This was an excellent learning experience, and will instruct the future revision of the Ursa 2.1 launch vehicle. The positive results of the launch were that the separation rings functioned extremely well and did fail at and in exactly the ways that were predicted, and the designed factors of safety were also accurate. There were also many new team members at the launch, and the overall experience was extremely inspiring and exciting for this next genration of engineers. There will be future launches, and the team is dedicated to fulfilling our mission statement. Please see the future designs page for more information on the roadmap. Also feel free to contact the team for more information, at the moment the team is regrouping for the second revision of the Ursa 2.1 launch vehicle and the next launch is expected to be sometime in 2018.